This is a modified Tage Frid bench, FWW, fall 1976. At that time I followed his plans. I didn’t like the face vise and the tool well was a rubbish sink. 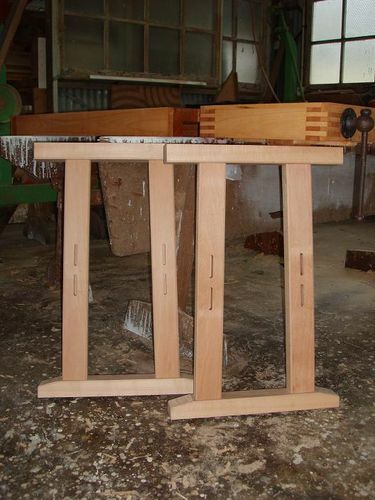 This is made of euro beech and built in 6 days over an 8 day block. The face vise was another 1/2 day later on. 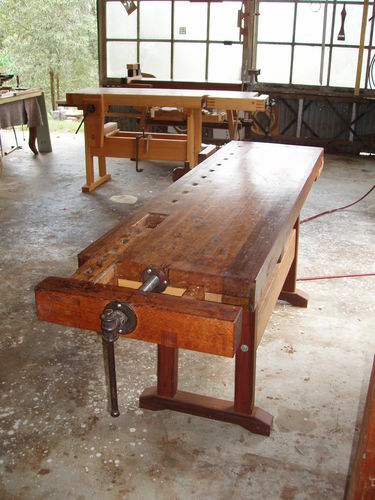 No handwork on this one, except the thru M & T on the face vise. 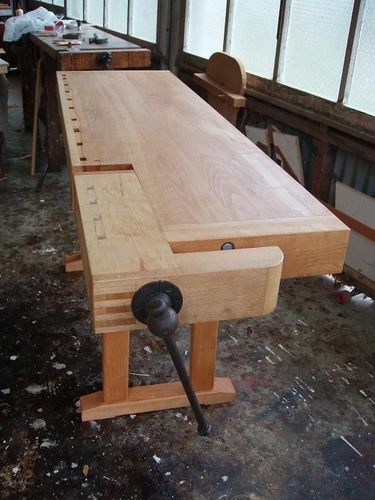 The main lamination, minus the dog rail & back rail, is 16in to suit my over & under planer. Hand scraped top. I was 65 and very chuffed with the time. Everything just flowed on this one. It was summer so I had long days. The bench is 1 year old. Nice looking bench. Well done. Good old Tage Frid what a guy. Very nice bench,great job. Brilliant bench Tex! 1 year old eh? I bet you’ve already built a few fiddles with it. Really like the end vice. I still have my fall 76 FWW. The trad tailvise is very versatile, my face vise doesn’t get much use at all. 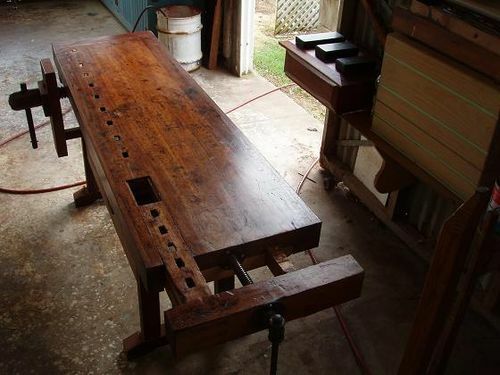 Bill you did a great job on that bench. Congratulations. I didn’t know where to put this pair. 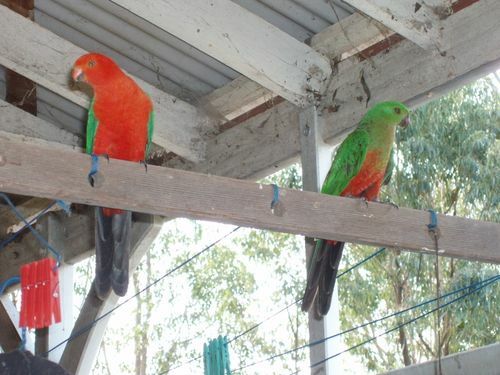 Male and female King Parrots. This pair come and go every 3-4 weeks. 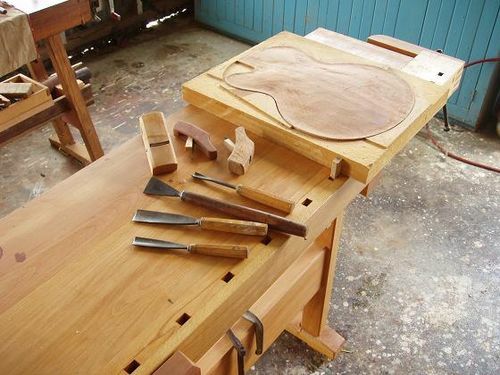 It’s a beautiful bench, and made so quickly. Looks great. Thanks for sharing. You do very accurate work – Well done. 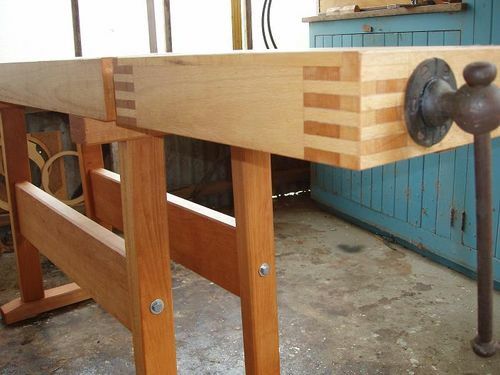 Forget the new bench, that end vise on the old bench is one of the cleverest things I’ve ever seen!